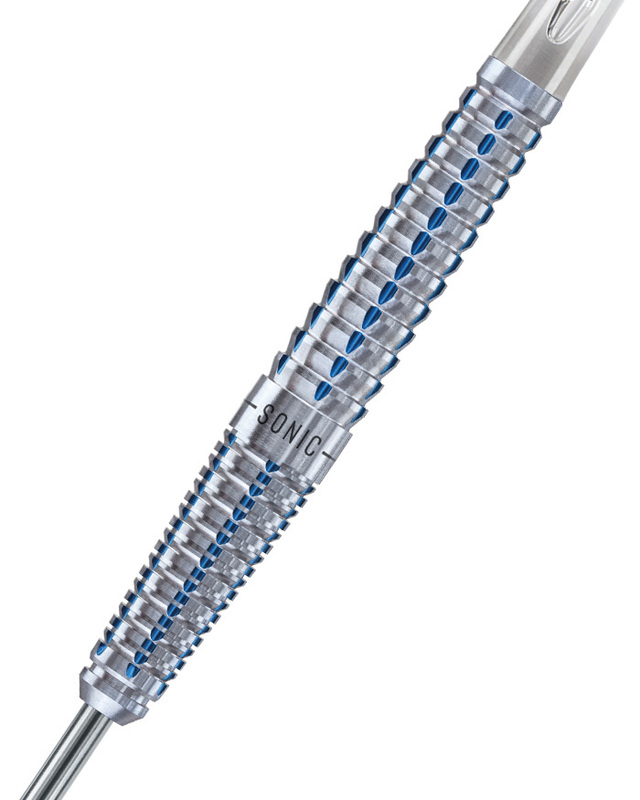 A complex combination of precise milling, tough blue titanium nitride coating and unique re-machining results in a stunning barrel with innovative, modular protrusions for powerful grip. There are 2 barrel designs, parallel and tapered, in both steel and softip ranges, each offering grip sequences of varying intensities. 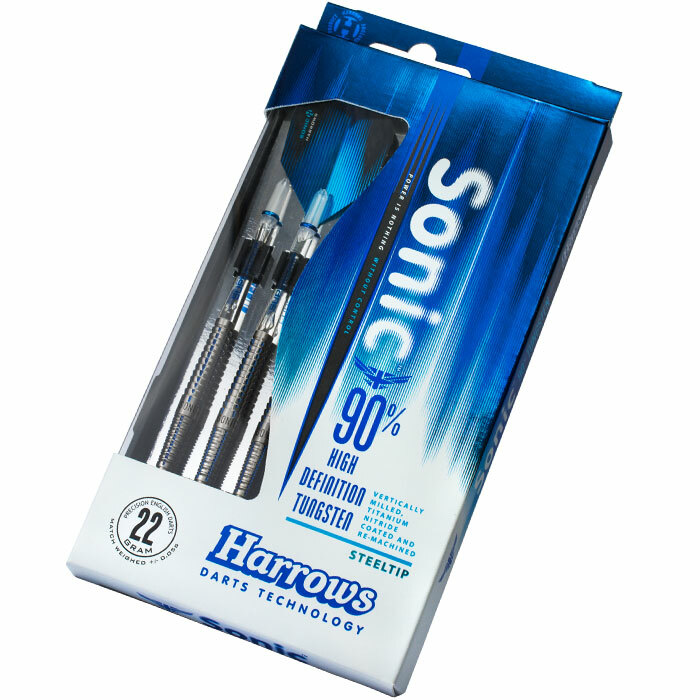 Sonic darts are match weighed to +/- 0.05 grams and are fitted with clear Supergrip shafts and new Sonic flights.